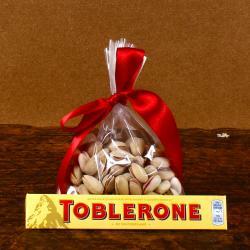 Product Consist : Sorry Greeting Card along with 16 pcs of Ferrero Rocher Chocolate. Perfect gift to apologize for loved one in life. 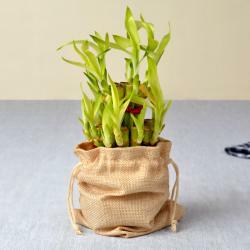 This gift represents a sorry card with sweet in that Ferrero Rocher Chocolate. We have added Chocolates with this item. 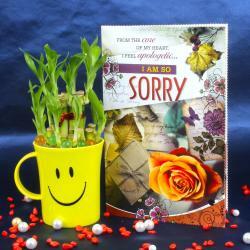 A lovely way to apologize your loved once, card will make for a wonderful way of making yours relation extra special. Ferrero Rocher is an irresistibly unique Chocolate made from the finest Italian Ingredients. It is a delicious blend of rich, smooth chocolate, crispy wafers and fresh, crunchy hazelnuts all adorned in an elegant golden wrap that adds a touch of luxury, fine taste and hospitality to every occasion. For every Ferrero Rocher, there is a golden moment. A pack of 16 Pieces Ferrero Rocher. Crisp hazelnuts and milk chocolate covered wafer biscuits with a smooth filling and a whole hazelnut. 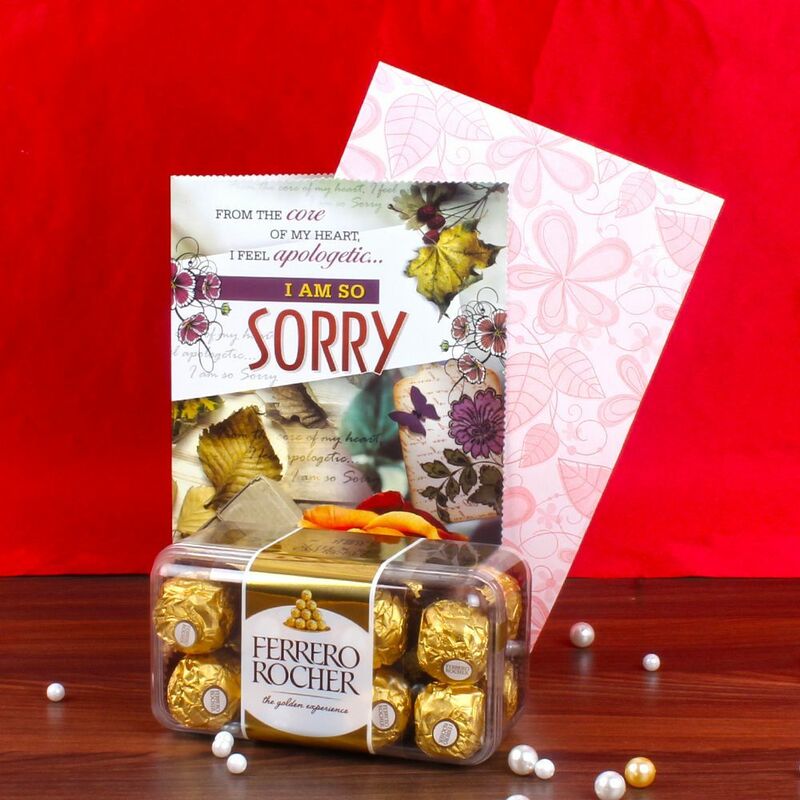 Product Consist : Sorry Greeting Card along with 16 pcs of Ferrero Rocher Chocolate.